For the past seven years, the annual Global Brand Simplicity Index study has been tracking the impact of brand and industry simplicity on consumer behaviour and business performance. The study is the work of Siegel+Gale, a global brand strategy and experience firm, and the results point to simplicity being the ultimate driver of brand loyalty as customers desire more seamless, simpler, faster brand engagement, giving them back the rarest of commodities – time. The message is simple; brands that delivery clear, human and useful experiences, win. And simplicity pays, as Siegel+Gale claim; since 2009 a stock portfolio comprised of the publicly traded simplest brands in their global Top 10 has outperformed the major indexes. 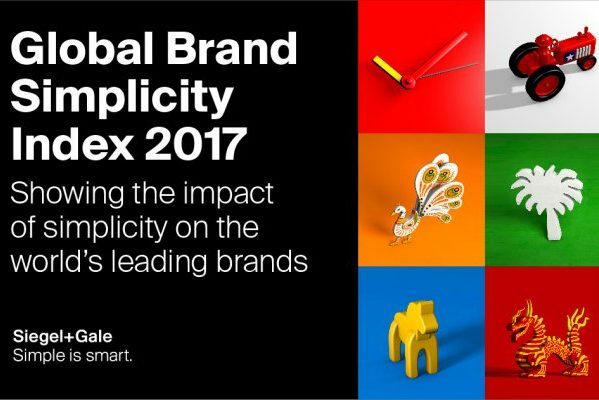 Siegel+Gale’s 2017 study is based on an online survey of more than 14,000 respondents across nine countries and ranks 857 brands on their perceived simplicity. The data collected is used to generate two scores: An Industry Simplicity Score™ and a Brand Simplicity Score™. The Industry Simplicity Score rates each industry on its perceived simplicity. Each industry is evaluated on its contribution to making life simpler or more complex, the pain of typical interactions with companies within the industry and how the industry’s communications rank in terms of ease of understanding, transparency/honesty, concern for customers, innovation/freshness and usefulness. Simplicity earns a premium: 64 percent of consumers are willing to pay more for simpler experiences. Simplicity builds loyalty: 61 percent of consumers are more likely to recommend a brand because it’s simple. Complexity costs: Brands that don’t provide simple experiences are leaving an estimated share of $86 billion on the table. Simplicity performs: A stock portfolio of the simplest global brands outperforms the major indexes by 330 percent. Simplicity inspires: 62 percent of employees at simple companies are brand champions—versus only 20 percent of employees at complex companies. ALDI remains the simplest brand in our global ranking for the fourth year running, while competitor Lidl once again lands in the top three. Yahoo! drops 37 places, demonstrating that web search isn’t always simple. Dollar Shave Club and Jet.com land in the top US Disrupters—their current multi-billion-dollar valuations are further testament to the power of simplicity. Insurance provider AXA just can’t seem to break out of the bottom spot, as they are the most complex brand for the second year running. Health and beauty product purveyor Sephora rises 44 spots in the global ranking. Global hotel chain Hilton moves up 50 spots in the global ranking. EasyJet has ascended 16 spots, a smooth takeoff for a customer-focused airline. Five out of six brands representing the restaurant industry are in the top 15, indicating that quick service often means simple service. For the third year running, Siegel+Gale asked people to evaluate “disruptive” brands in the US and UK. These emerging businesses are continuously changing consumer expectations by delivering memorable, meaningful and useful brand experiences. In the US, the top disrupters include Dollar Shave Club, GrubHub, Square, Spotify and Jet.com. In the UK, the top disrupters include OVO Energy, City Mapper, Shazam, GoPro and My Fitness Pal. To view the full report, visit: www.simplicityindex.com. Subscribe to a regular round-up of the latest trends influencing the UK home improvement industry. Yes, I consent to receiving the latest trends updates from Trend-Monitor. *Definition by prominent US think-tank, the Pew Research Centre. Originally named ‘millennials’ as people realised they would be the first graduating class of 2000 – the new millennium. Although in reality, the term ‘millennial’ is little more than an age-grouping, it is often used to generalise a generation, bestowing them with similar attitudes, experiences, beliefs and behaviours. However, it is their relationship with the internet that is the single most distinguishing factor about millennials and differentiates them from the generations before and after. 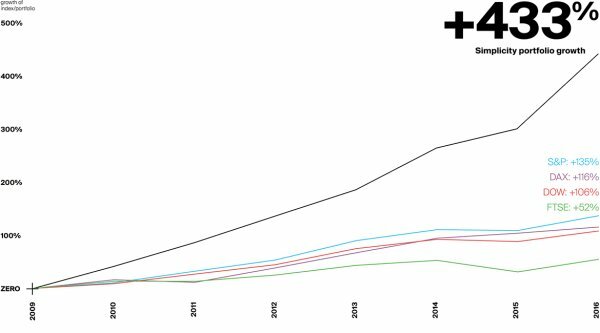 Most millennials came of age as the internet became ubiquitous, and were rapid adopters of the new technology. Millennials had to adapt to social media and constant connectivity, while post-millennials take them as a given.